The National Petroleum Authority (NPA)’s plan to start implementing new sulphur levels for diesel has been moved to August 1. According to the Authority, the change was due to challenges with going ahead with the policy from the initial date of July 1. 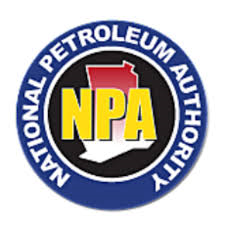 NPA in a letter dated July 4, and sent to importers of petroleum products noted that “due to the constraints, with meeting the gazette national specifications for gasoline and gas oil, the Authority has reviewed the implementation date for both fuels. The NPA maintained that it’s trying to iron out all these issues to pave the way for Bulk Oil importers to bring in fuel that have a new sulphur level from next month. Products currently, sold on the market are said to have more 3,000 ppm, which is far lower than the accepted standards for petroleum products. Analysts having very high chemical levels, which are injurious to vehicle engines, the environment as well, as the health of human beings, have described it. The NPA in an email response to JOYBUSINESS argued that it would give importers three months to fully clear their stocks when it starts with this new program. It, however, maintained that it would not hesitate to withdraw the license of any importer that fails to comply with this directive. Diesel currently imported into the country high sulphur levels of 3000 ppm and plans to drop to 50 ppm. The move to reschedule the policy has not gone down well with some industry players, but Deputy Minister of Energy Dr. Mohamed Amin Adam tells JOYBUSINESS it might be good for the regulators to take their time to address all the challenges than to rush with the implementation of this policy.